About the Assiniboine and Sioux: Residents of the Fort Peck Reservation are descendants of two separate tribes, the Assiniboine and the Yanktonai Sioux. However, historians believe that the two tribes were originally one people. The Assiniboine and Sioux tribes refused to accept the Indian Reorganization Act of 1934 and maintained their own constitution. History of the Reservation: The Fort Peck Allotment Act of 1908 required the survey and allotment of lands included in the Fort Peck Indian Reservation. The Act further demanded the sale and dispersal of lands deemed as “surplus” after the allotment. Each eligible Native American was to receive timber and irrigable land as well as 320 acres of grazing land. Parcels of land were withheld for a government agency, church, school, and railroad use. The unallotted and unreserved land was disposed of, resulting in a checkerboard pattern of land ownership that intersperses Indian land with non-Indian land. Defiant of the Indian Reorganization Act of 1934, the Assiniboine and Sioux maintain the constitution they ratified in 1927. By an act of Congress on May 1, 1888, the present day boundaries of the reservation were established. The reservation contains an overall land base of 2,093,318 acres. Of this area, only approximately 378,000 acres are tribally owned and 548,000 acres are individually allotted Indian lands. Therefore, the total Indian-owned land on the reservation is 926,000 acres, which is less than half of the reservation land base. 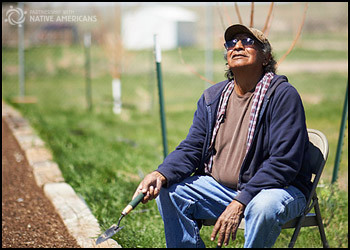 Life on the Reservation: Of the more than 10,000 enrolled members, approximately 6,000 reside on or near the reservation. Most Fort Peck residents work in ranching, mining, and farming, however, one in three tribal members is unemployed. Ft. Peck suffers from high unemployment and poverty rates well above the US national average. Fort Peck on the map: Northeastern Montana.